WILMINGTON – Oh, the mighty oyster. They filter and clean our waters, play an important role in our economy by providing food and jobs, build reefs that help prevent erosion and provide habitat for hundreds of marine species. Yet, oyster populations are at historic lows, according to the National Oceanic and Atmospheric Administration, or NOAA, Fisheries. The oyster population has been in steep decline since the early 1900s, with harvest levels over the past 50 years remaining at 10 percent of historic highs. The loss of wetlands, pollution, erosion from development, outdated harvest methods and overfishing have resulted in the great oyster population decline. 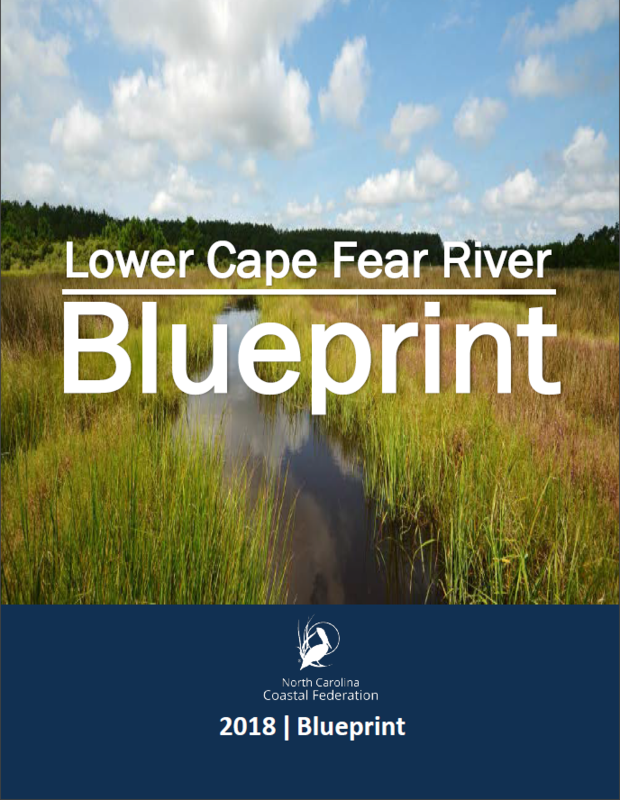 That’s why the next of the four goals identified in the collaborative planning effort led by the North Carolina Coastal Federation known as the Lower Cape Fear River Blueprint “is a complex and ambitious” one. There are signs that the oyster population can be revived in the lower Cape Fear River. Vast oyster reefs that once thrived in the lower river are either no longer existent or buried under mud, but “there remain viable pockets of oyster reefs supported by an abundance of oyster larvae each year,” the blueprint notes. Shellfish harvest is open from the area of the Fort Fisher Basin to the river’s mouth. “While many challenges remain, these factors indicate the potential for a revitalized oyster population and fishery in the lower river is great,” according to the blueprint. The North Carolina Coastal Federation has for the past 15 years worked with the North Carolina Division of Marine Fisheries, or DMF, and other partners to restore oyster populations in the state. One of several initiatives raised in the Oyster Restoration and Protection Plan for North Carolina is the 50 Million Oyster Initiative. Based on evidence that a million oysters are restored for every acre of oyster sanctuary created, the federation has been aiding DMF to restore at least 50 acres of oyster reefs coastwide by 2020. That number of oysters will filter an estimated 2.5 trillion gallons of water each day, according to the plan. A focus area for oyster restoration sites, reef sanctuaries and cultch planting areas in the lower river extends from Snows Cut down to Bald Head Island. 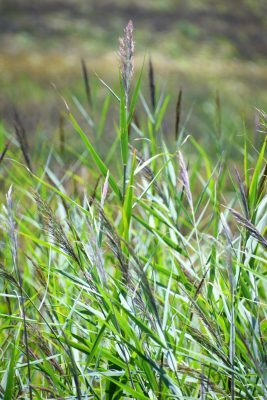 The non-native, invasive plant species phragmites australis, or the common reed, grows as high as 10 to 12 feet tall, choking out native habitats. This aggressively spreading plant is hard to destroy and it’s growing in the lower Cape Fear River. Under the blueprint, existing populations of phragmites and migration patterns would be identified through research conducted by the University of North Carolina Wilmington. The next step is to study effective ways to manage and eradicate the invasive plant species and examine current scientific research on the possible negative effects on the ecosystem and human health from pesticides used to kill the plant. 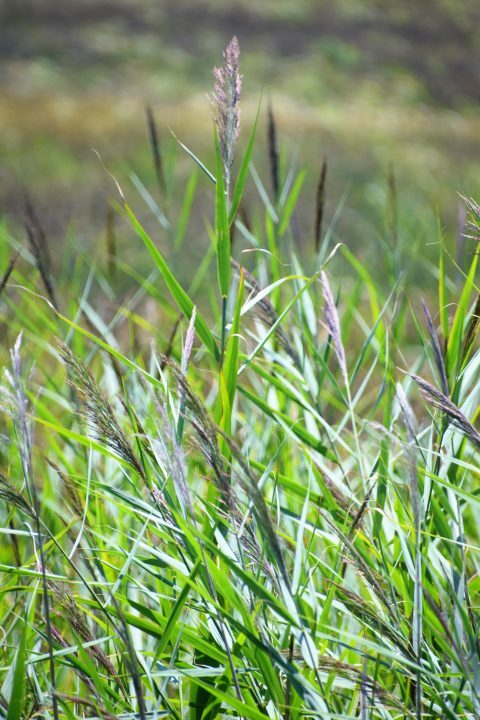 Based on that research, the federation and researchers will set up a plan to manage phragmites in a way that is safe to the ecosystem and human health. Funding will then be sought to initiate a pilot program to manage the invasive species. That program, if successful, would then be expanded to the rest of the lower river region. 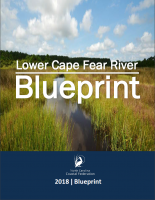 Though the goals mapped out in the blueprint pertain specifically to the lower river, the work implemented as a result of that document will have impacts upstream. One major initiative of the partnership is the installation of fish passages at the Cape Fear River’s lock and dams. These manmade rapids allow migratory fish such as American shad, river herring, striped bass and Atlantic and shortnose sturgeon to travel upstream to spawn. The first of these passages that allow anadromous, or inland-spawning fish, to swim over during their voyage upstream, was completed in 2012 at Lock and Dam No. 1 near Riegelwood. The partnership, a coalition of public and private groups, is pulling together funds to design and start building similar fish passages at Lock and Dams No. 2 at Elizabethtown and No. 3, just below Fayetteville. The lower estuary is primary nursery area for ocean-living anadromous fish including river herring and shad so enhancing and protecting the quality of water in that portion of the river will only aid in efforts to increase migratory fish populations, York said. Building up eroded shorelines will help protect primary nursery areas habitat, which, in turn, will also be beneficial to the ecosystem that supports migratory fish. 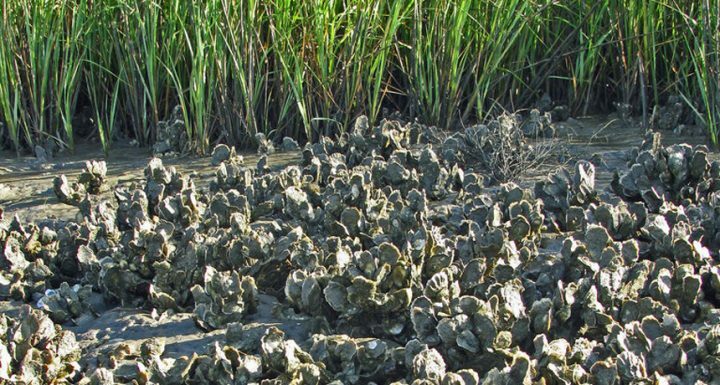 Oyster reefs provide habitat to commercial juvenile fish, forage fish, and other marine life such as blue crabs and shrimp.